Over the years, as both a blogger and wedding/portrait photographer, I've acquired a good collection of camera gear. 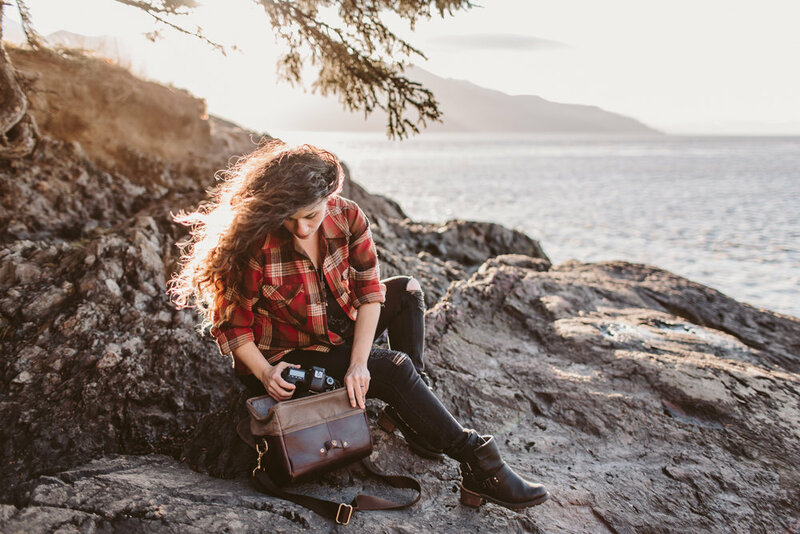 Lenses, camera bodies, accessories, they're all super valuable necessities for my business, and so finding a perfect bag for carrying them when I need to be on the go is essential. 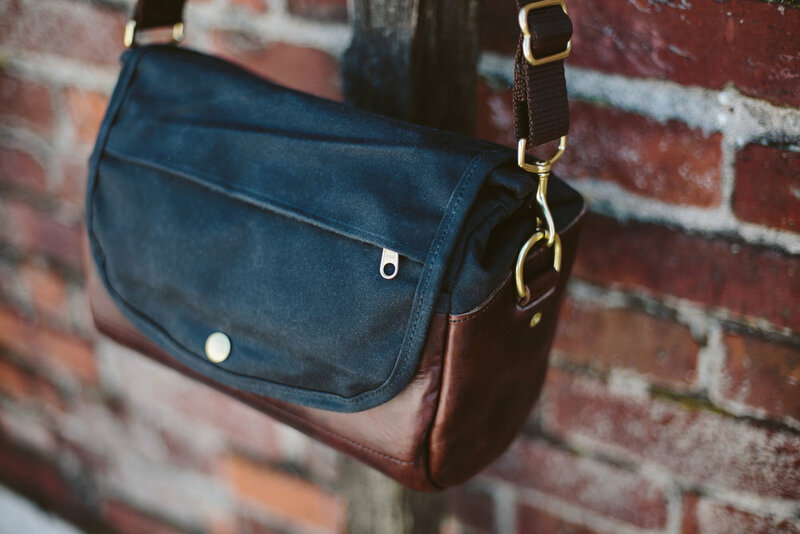 There are tons of awesome companies out there who are making camera bags that not only have amazing functionality, but are gorgeous. Naturally there are many brands I haven't had the pleasure of trying out, (Kelly Moore, Jo Totes, and Peak Design are a few that come to mind) but I wanted to share the ones I do have and had tried hands-on. The ones I'll be sharing today are the Brevite Rucksack Backpack, ONA's Union Street Bag, Black Anchor's Camera Bag, ONA's Bowery Bag, and Everlane's twill backpack with a Lowepro insert. This bag is the newest to me, so I haven't used it a ton, but I have traveled with it and I'm super happy with it. I really like a backpack style bag because when I travel (especially for weddings) I carry two camera bodies, 3-4 lenses, a flash, my laptop and more. Having an even distribution of weight on my shoulders is essential with that much weight in a bag. Before I got this bag I had the set up below (Everlane backpack w/ camera bag insert), which was fine except that in order to access my gear, I had to take everything in the bag out that was on top of my camera gear (which was in the bottom). With the front and side access panels in the Brevite bag, I can very easily access my gear. Plus, it has a laptop sleeve and space in the top of the bag for other things. I always use my camera bag as one of my carry-ons when flying, so I almost always have books, snacks, and other necessities in the bag as well, and it's plenty big for all of that, while also fitting under the seat in front of me. This is sort of a DIY version of a camera bag backpack, but it worked just fine for me for a couple years. I like the Everlane backpack a lot, it's simple, has great capacity, and has a laptop sleeve inside. This bag was my go-to when I would bike to a coffee shop to work (biking with a messenger bag is a huge pain). It also became my go-to for air travel because having weight on two shoulders instead of one, in the case of a messenger), was way more comfortable. I would just take a basic camera bag (like this one) and put it in the very bottom of the backpack. I'd put my camera gear in there, and then have space above the camera bag to put other stuff like books, snacks, etc. Obviously the downside of that is that there's no easy access. If I wanted to get to my gear I'd have to pull the stuff out that was on top of the camera bag insert. That being said, usually the only time that was the case was when I was flying and I didn't often take my camera out while mid-flight. When I would take this set up on shoots, I wouldn't put a bunch of stuff on the top because I didn't need anything except my gear. I've had this bag for a few years now and it's held up pretty great, the only thing I've noticed is that it looks like the top handle might rip out eventually if I load the bag too heavy or yank on it too hard. I have to say, while I only had this bag for a few days, it definitely lived up to my hopes. I had this bag on my wishlist for a long time and a couple years ago I was able to work with ONA to style it for a blog post and then do a giveaway for the bag. This bag is definitely not in the same category as the two set ups above, it's more something I would use while shooting a wedding or during an outdoor portrait session to carry my other lenses, batteries, and memory cards. For that (or I could even see using it while sightseeing as a purse that also carried a camera), it's perfect. It's obviously too small to carry all my gear, and that's not what it's designed for anyway. As a smaller lady, it's a very comfortable size, and it's still on my wishlist after giving it a try! I've had this bag the longest, and it's a very nice bag. It has a pretty big capacity with three spots for camera bodies and lenses plus a laptop slot and it usually accompanies me to weddings and shoots. It also used to be my main travel bag, but I found that, for me, having it fully loaded and wearing it for long periods of time makes my shoulder feel like it's dying, which is why I now prefer a backpack for carrying my gear for air travel. It feels ever so slightly too big for me, but I'm also a relatively small lady. I've had this bag since 2013 I think? Maybe 2012. It's held up wonderfully. It's waxed canvas so it was great for rainy PNW weather. It's definitely weathered, but there is no sign of any wear and tear that would be compromising the structural integrity. This bag is also a bit newer to me, so I haven't had a lot of time to see how it stands up to wear, but the materials are super high quality, so that's not something I'm really concerned about. This bag is about the same size as the ONA Bowery bag, so more of a support bag for carrying lenses, etc. on shoots. 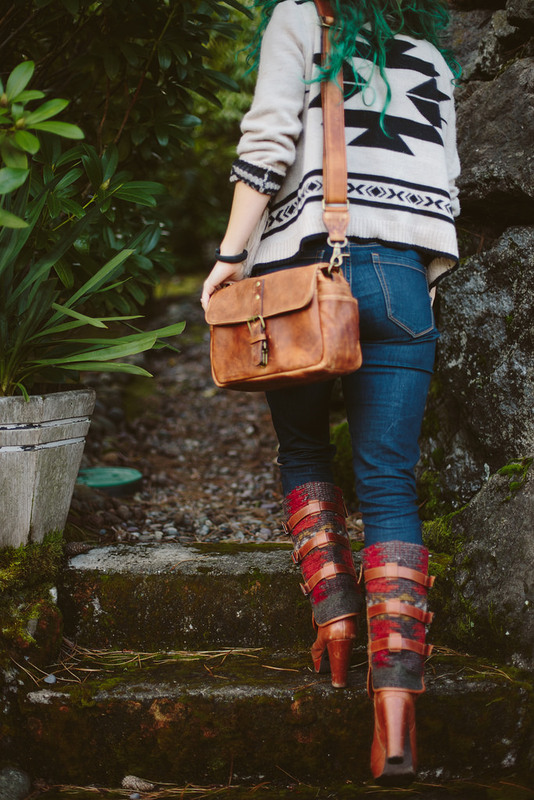 This bag also is made with waxed canvas so it's great for the PNW's moist weather. It also has a little sleeve inside that fits an Ipad Mini, but which I tended to use for a journal, or for storing my phone or wallet when I didn't want to put them in the more exterior pockets. The one thing that I'm still on the fence about with this bag is the padding. I like the thicker, more dense foam in the other bags, versus the thinner foam in the Black Anchor Bag. 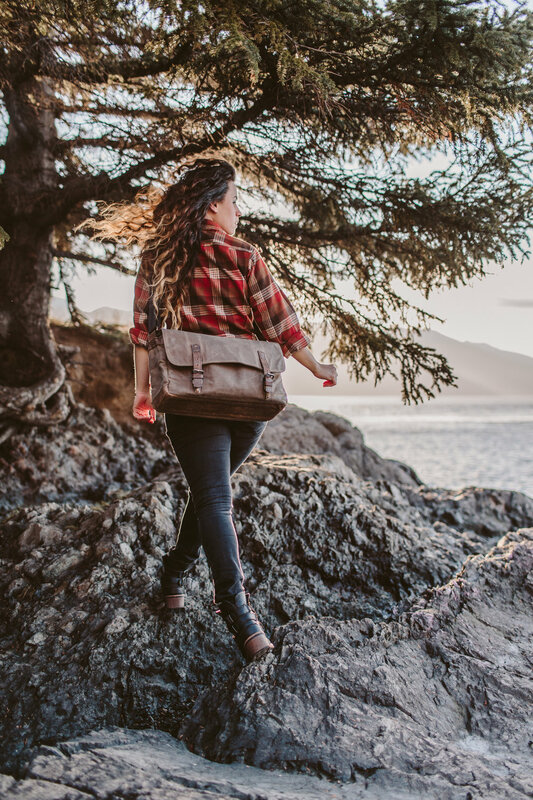 Right now I think my favorites are the Brevite Backpack and ONA Bowery, for different reasons since they are designed for different situations. I like having a larger capacity bag for when I travel and a smaller on for taking on shoots. 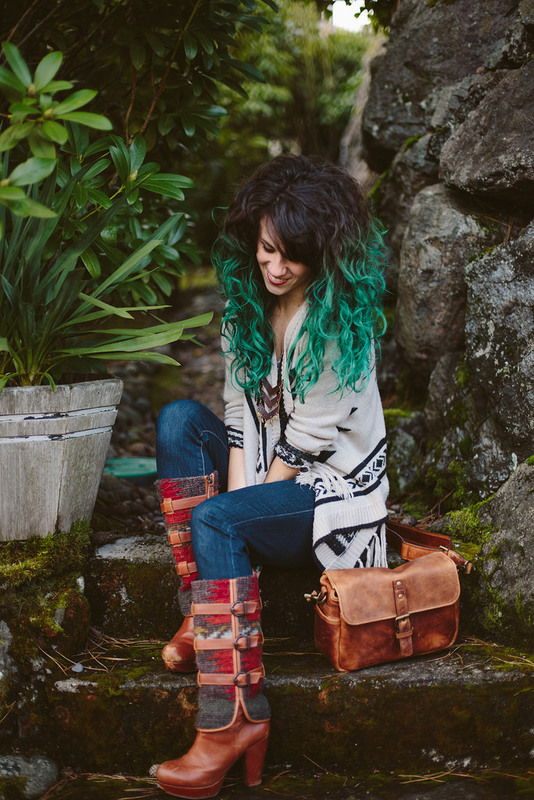 These bags all have a pretty similar aesthetic, rugged and rustic. I've actually put a camera bag insert into one of my small fancy-looking Fossil purses when I wanted a bag that was more Bowery sized, but fancier looking than the rugged waxed canvas. You can buy camera bag inserts which are great for dropping in bags you already have, which I think is a great option, since having a dedicated camera bag might not be the most practical thing for you.